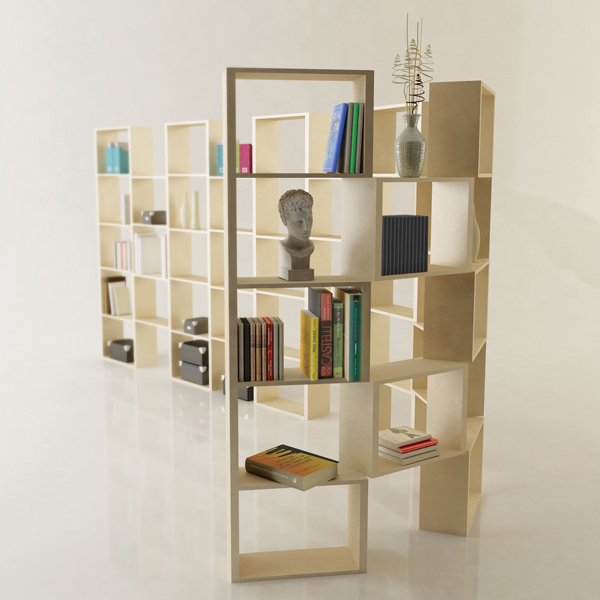 Spline is a totally modular and adjustable bookcase because it’s made by a series of parallelepiped-shaped wooden meshes connected together. 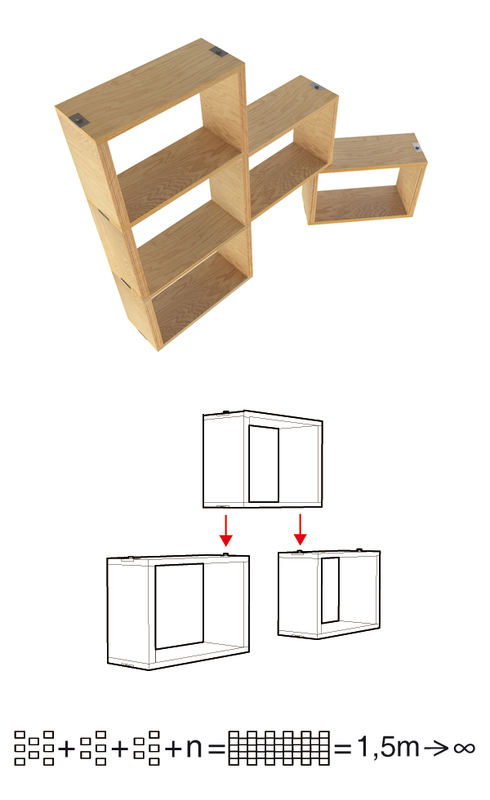 After user had assembled the meshes, it will be possible to rotate and to adapt it depending on your needs. 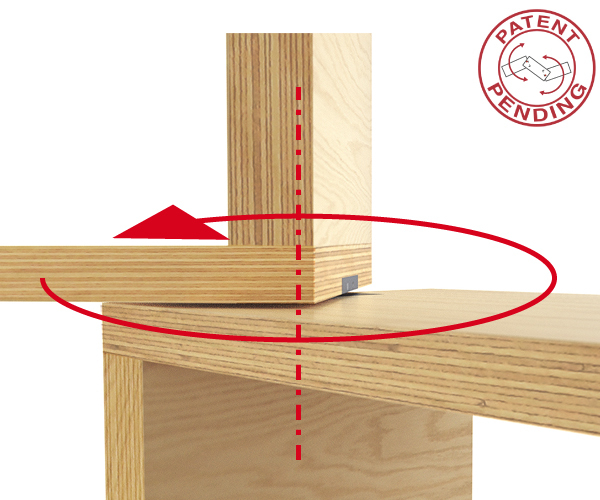 The wooden meshes, thanks to their particular rotating system, allow realizing a totally adjustable structure. Spline, like a chain, can be freely modeled following the map of every enviroment and can be used to hold books and objects as well as a screen. 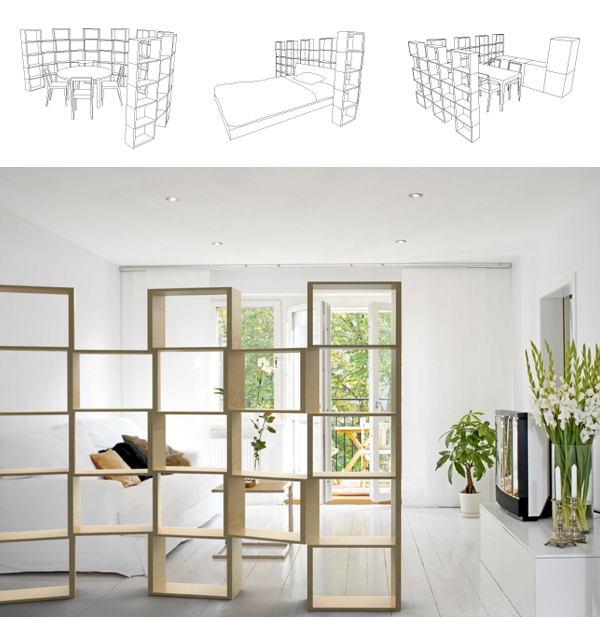 Things you can do with Spline are unlimited: screen the dining table, create an original headboard, hide the kitchen and everything you’ll want to design to let your imagination come true….